The week is winding down and everyone is looking forward to the weekend. But for many people the weekend is just a time to pause and consider where their business is going. Did you meet your targets for the week? Did the IT guy get that server sorted? Will your receptionist be at work this week? With so much to consider, it doesn’t make sense to keep paying for the maintenance on that bulky, noisy, old, fax machine that is always surrounded by queues of people and never functions correctly. This is where FaxFX comes in. 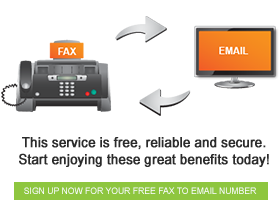 One of SA’s leading online fax companies, FaxFX allows you to create a free fax to email account, allowing you to receive all of your faxes in one place – your email account. Over and above this you are also able to create an email to fax account – at a small monthly fee. This allows you to send your documents to any fax machine. Whether you are at home or abroad, online faxes from FaxFX mean that as long as you are able to connect to the internet you will receive your faxes. Online faxing is even supported across multiple devices. Your laptop, smart phone, tablet and desktop computer are all able to receive faxes. And the best part is – you don’t have to worry about having the latest technology or fancy programmes to use this service. Faxes are sent in basic PDF which is one of the most common formats available, and the software is compatible across old and new systems, making your life that much easier.